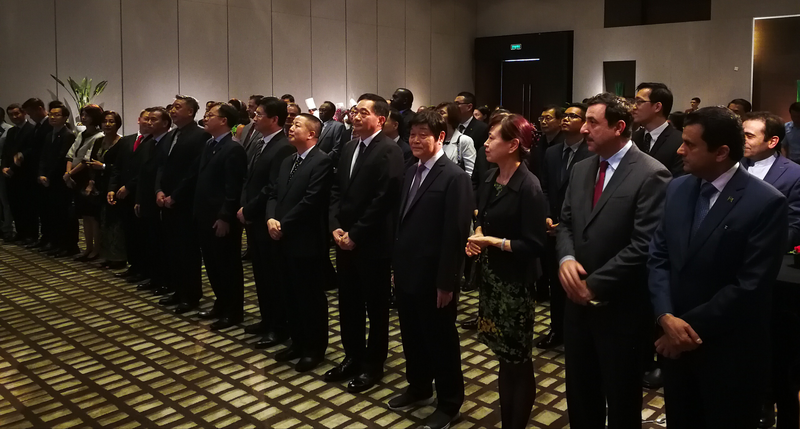 On August 8, Guo Yukun, the full-time executive president, was invited by the Malaysian Consulate General in Guangzhou to attend the "2017 ASEAN Day Tea Dialogue" jointly organized by the eight ASEAN countries in Guangzhou. Officials from Consulate General Guangzhou and the Guangdong Provincial Government representative. 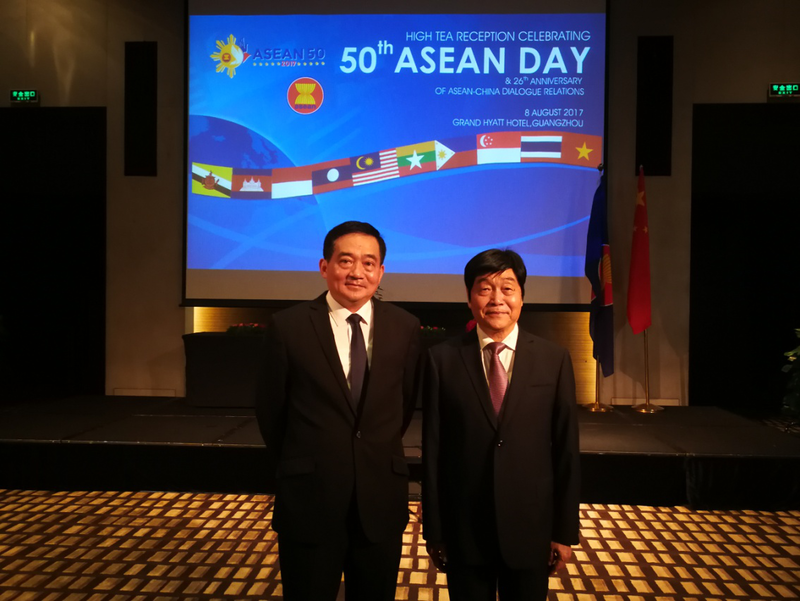 Kusayali, head of the ASEAN delegation in Suizu and Malaysian Consul-General in Suizu, said ASEAN and China have close cooperation in the fields of trade, investment, education, culture and tourism, hoping to continue to strengthen exchanges and cooperation. Deputy Governor Xu Ruisheng of the People's Government of Guangdong Province pointed out that the two sides of Guangdong and ASEAN are highly complementary. In 2013, the total trade volume between Guangdong and ASEAN exceeded 100 billion U.S. dollars, and ASEAN became Guangdong's third largest trade partner. In 2016, the trade volume between Guangdong and the eight ASEAN countries in Guangzhou reached 113.84 billion U.S. dollars, up 1.7%. 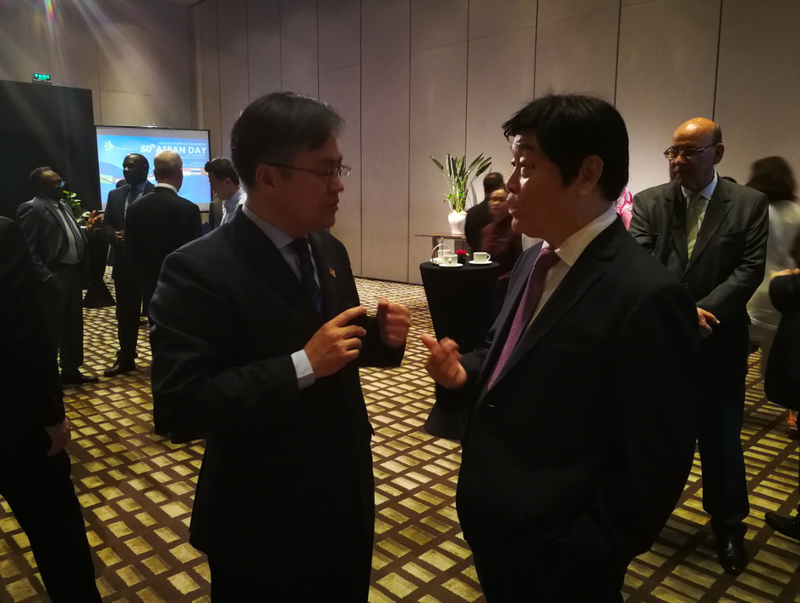 Xu Ruisheng pointed out that Guangdong looks forward to furthering its cooperation in economic, trade, marine, environment, tourism and cultural exchanges with all ASEAN member countries through closer cooperation between the "Belt and Road Initiative" and the "ASEAN Interoperability Master Plan 2025" Mutually beneficial win-win situation, the benefit of both peoples. Chamber of Commerce Party branch secretary and deputy secretary-general Fu Juan and other comrades attended the event.